Spain-born, Montreal-based singer Iris may have spent years as the drummer in Roads, but she's fully focused on forging her way as a solo artist these days. Her latest offering comes in the form of "Follow Me," and Exclaim! is pleased to premiere the new single, right here. We first heard Iris steal the spotlight with her debut single "I'll Wait for You," which she followed up with some snazzy visuals for the same track. 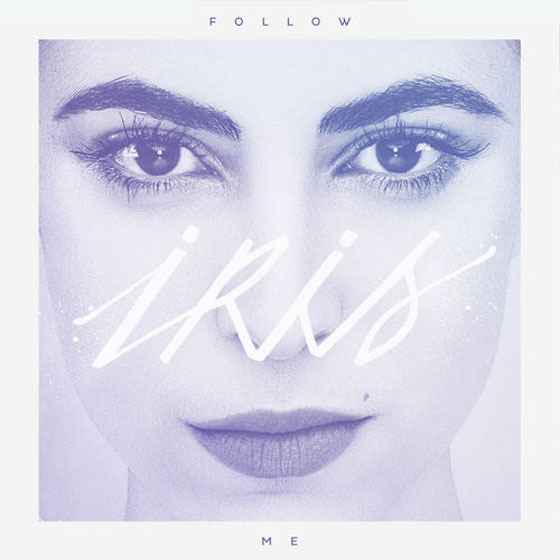 Now, she's unveiled her latest single "Follow Me." It starts off with slow-burning synths playing back-up to Iris' smooth croons, but eventually explodes into an '80s-esque dancefloor jam that shows off the edgier end of the singer's vocal range. The Montreal songstress will be making her live solo debut in her hometown on May 8 at Vitriola, with her debut EP to follow in fall 2015. "Follow Me" is officially released as a digital single on April 7, and you can give it a spin in the player below. Iris "I'll Wait for You"